This entry was added to the database on Friday, April 25th, 2014 at 8:09 pm by mosavon. This information was last updated on Saturday, May 7th, 2016 at 9:37 pm by . Really an odd combination of earbuds and micro fiber cloth. Bought it anyway. I've bought every single CE from NIS and this won't stop me either. I wish they'd try a little harder..it just seems like a quick short cut cash grab.. I missed this one, too. 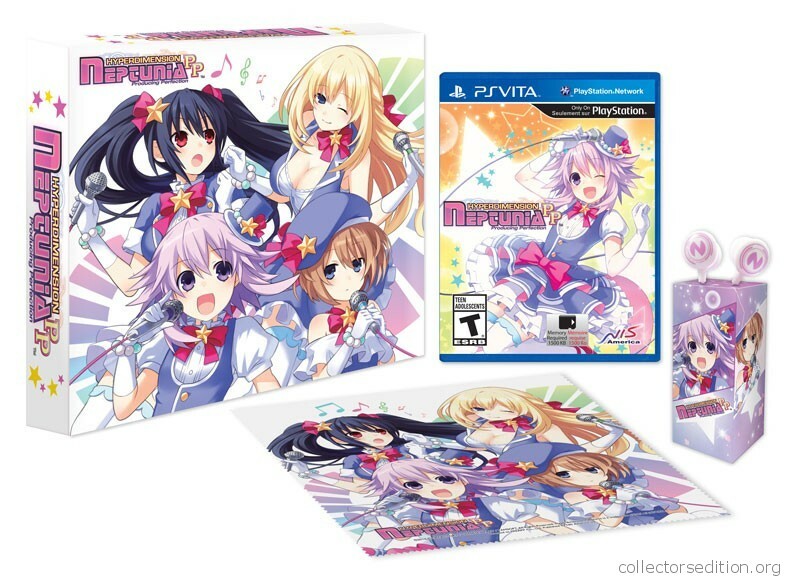 At least it isn't as important to me as the Noire centric one coming out. It's not out in Japan yet, but we'll get it eventually, probably around Winter 2014, if I had to guess. Just got mine in the mail today...is it just me, or does it feel suspiciously light? NIS is set to begin selling the last remaining copies of this in their warehouse in about two hours as part of their holiday sale. Sometime at or just after 3:oo a.m. PST (GMT -8).